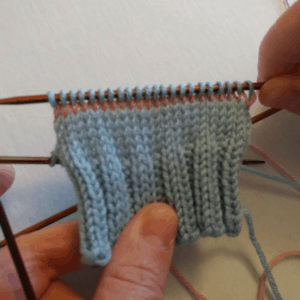 An afterthought heel is one where a tube is knit, and the heel is added later in the process. One benefit to this method is there is no need to “switch gears” to work the heel. 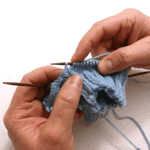 The knitter may continue working in pattern almost uninterrupted to the toe. Another benefit is there are no short rows involved. None! There are a couple of ways to achieve a heel like this. 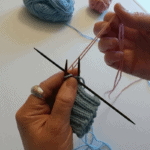 The first involves snipping the knitting with scissors (steeking). We’ll leave that for another day. The other way, and my preferred method, involves knitting in some scrap yarn to hold the spot where we want the heel to go later. 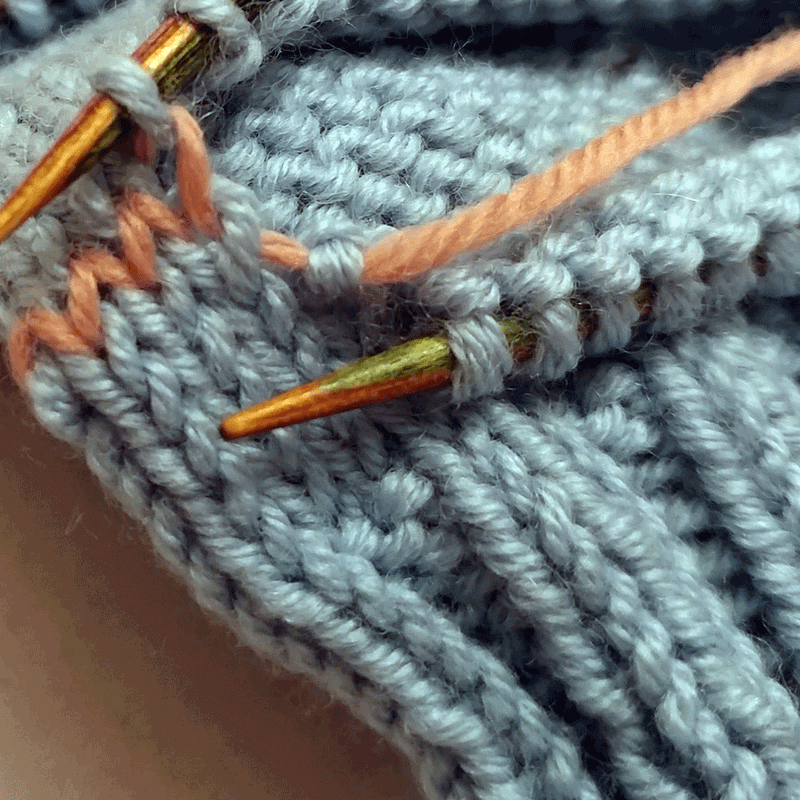 Grafting the heel with Kitchener stitch is required. But, depending on the pattern, this could be as few as 6 or 8 stitches, so not to worry! 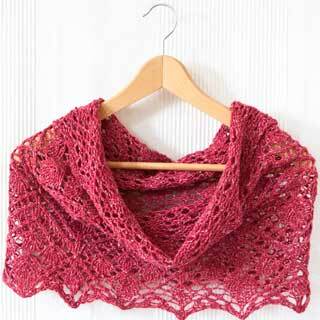 You will need about a yard of scrap yarn. 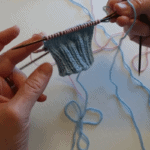 It should be thinner than your working yarn and should be in another color so that it stands out. It doesn’t need to be slick but shouldn’t be a grabby yarn like mohair because it will have to be removed later and we want that to be painless. Work up to the place where the heel will be. Leave working yarn where it is (hanging just right of your heel stitches) and simply ignore it. Leaving approximately a 6” tail, loop your scrap yarn over your working needle and begin knitting across the heel stitches. 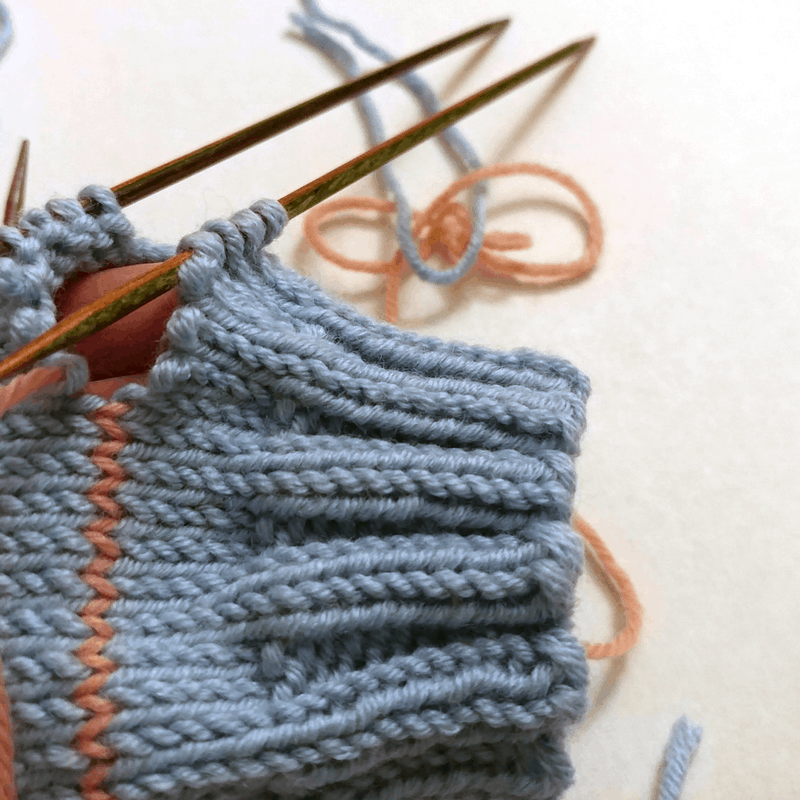 Knit all the heel stitches with scrap yarn. 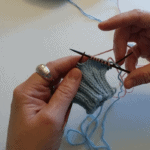 After this step, if the first heel stitch is still a bit loose, snug it up by tugging on the tail. 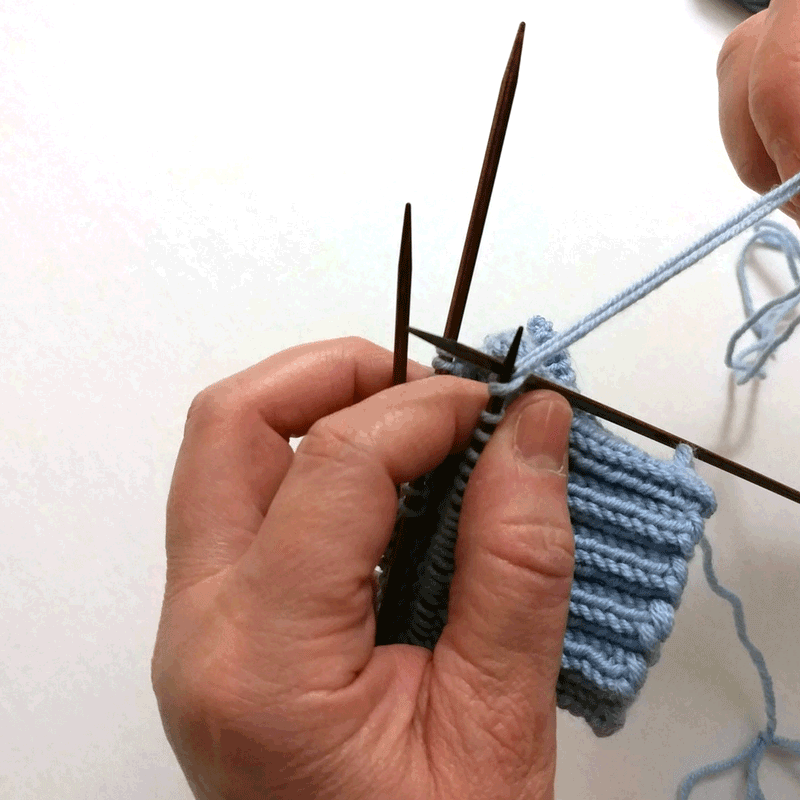 The working yarn is still waiting to be used, so pick it up and knit across all the heel stitches a second time. That’s it for a while! 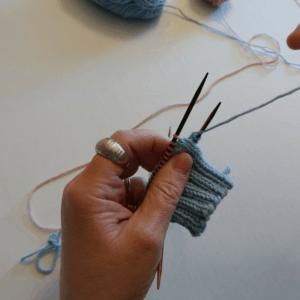 Just knit along as normal in pattern until you are ready to work on the heel again. 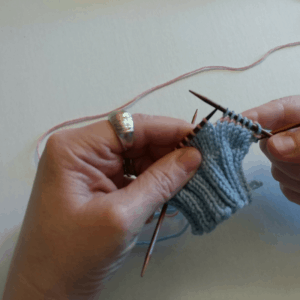 You can finish up the heel after the rest of the sock is completely done, but I don’t recommend that for the first time using this technique. The finished tube sock has not accounted for that extra space we are about to create by taking out the waste yarn. My “Patricia Footies” pattern is specific enough to work from measurements, but to ensure the best possible fit, don’t work all the toe decreases just yet. 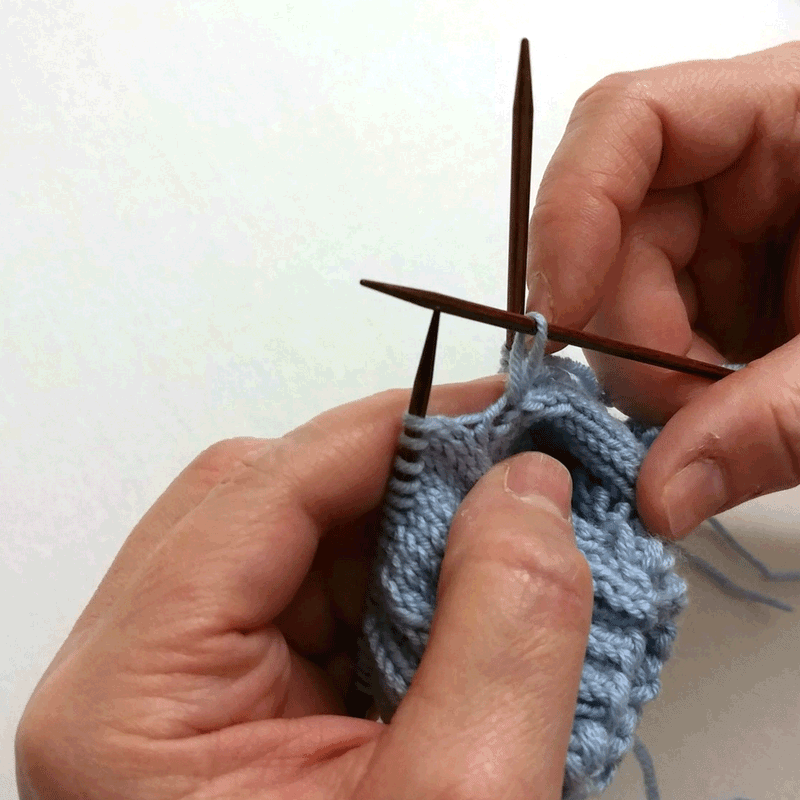 Put those stitches on a holder and work the heel first. That way, when returning to the toe later, you can try the sock on and know if more or fewer rows are needed before closing it up. It is possible to put the stitches onto your needles with the scrap yarn still in them. 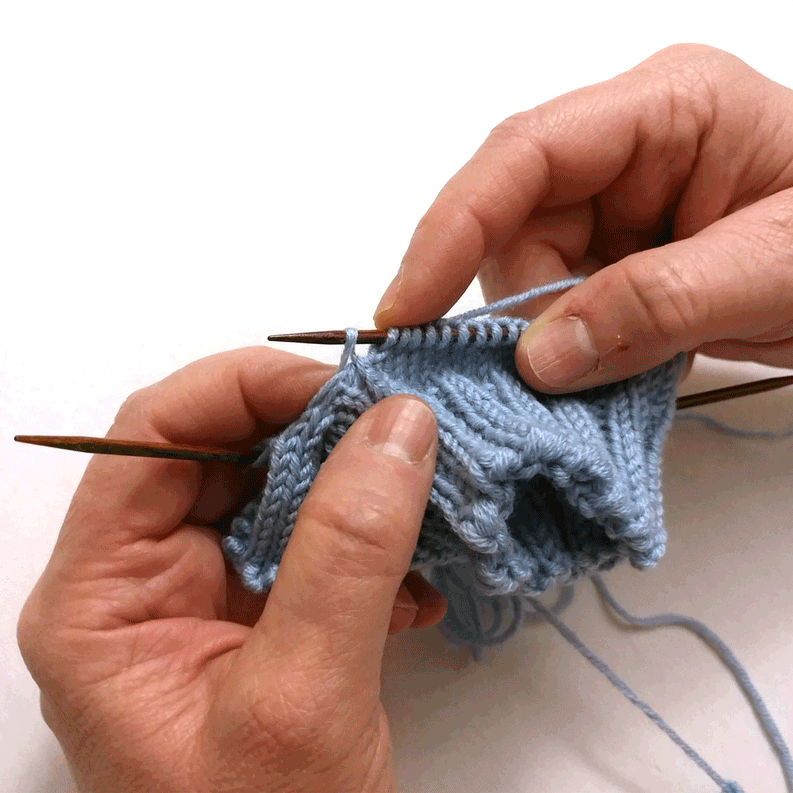 Note that the stitches will become available from one side, then the other. If this is stressful, don’t worry about stitch orientation and get them secured. 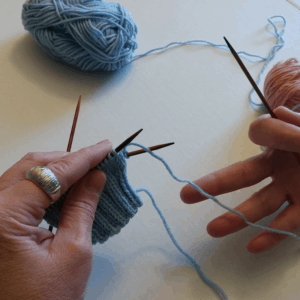 You can always reorient them when you begin knitting. Grab working needle and yarn. At this point there will be a large gap on either side of the sock. So, attach yarn, pick up 2 stitches at gap, knit across to the other gap, pick up two stitches there and then finish the round. Now alternate knit rounds and decrease rounds. This type of heel is worked exactly like the toe of a cuff-down sock, so of course, it matches the toe rather perfectly. 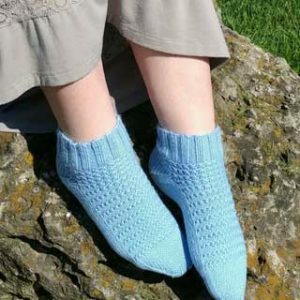 Try out your new skills with our Free Pattern for the Patricia Footies!